Student chefs baked New Year’s cookies for sick children. 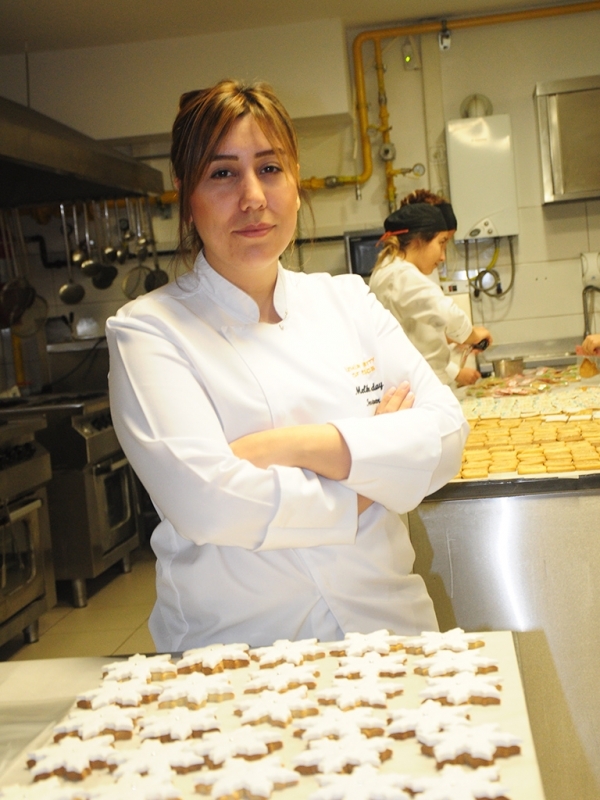 The New Year’s cookies baked by students of Department of Culinary Arts and Management, Izmir University of Economics (IUE) as part of their “Pastry” course, are being sold in order to help purchase a dialysis machine for children with kidney failure. Student chefs, who contributed to the purchase of dialysis machine for children who are hospitalized at Nephrology Ward at Ege University, will help sick children welcome new year with a new hope. Santa Claus, snowman, snowflake, gingerbread man, and bell shaped cookies were baked, packaged and sold at the cafeteria by the future chefs. Melike Konday, Trainer Chef at IUE Department of Culinary Arts and Management, said that they baked New Year’s cookies for the benefit of children every year. She said that students volunteered for this for social support purposes. "We carry out this social aid project before the New Year every year. All the funds are donated to children. We want to be hope for children. We baked 1000 cookies for this. The funds will be donated for the purchase of dialysis machine for children with kidney failure. It will be a small contribution from us,” said Konday.